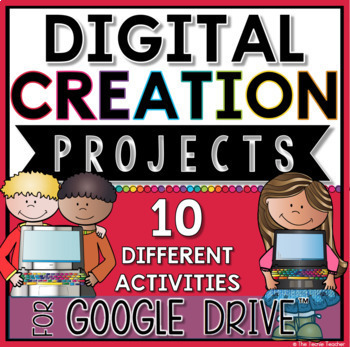 Digital Activities for St. Patrick's Day | The Techie Teacher® . 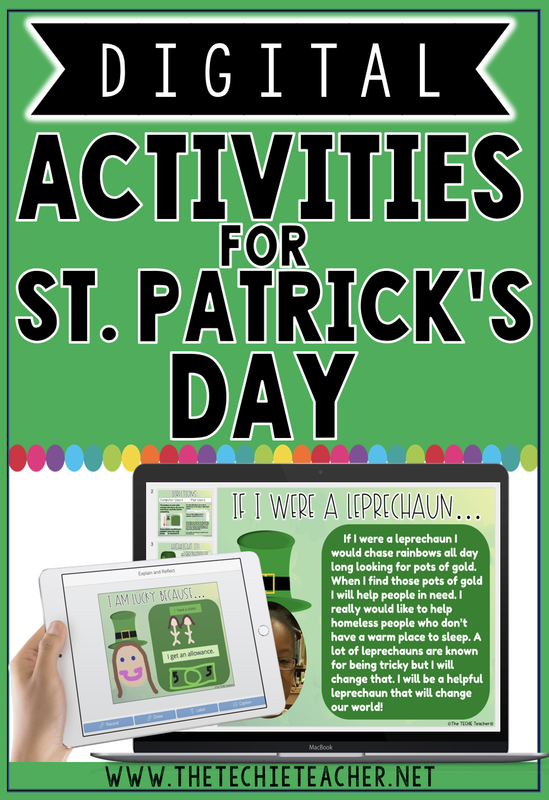 Three years ago I wrote the post, Leprechaun Yourself iPad Project for St. Patrick's Day. The app I used for that project has not be updated for the latest iOS so I had to track down a new one. 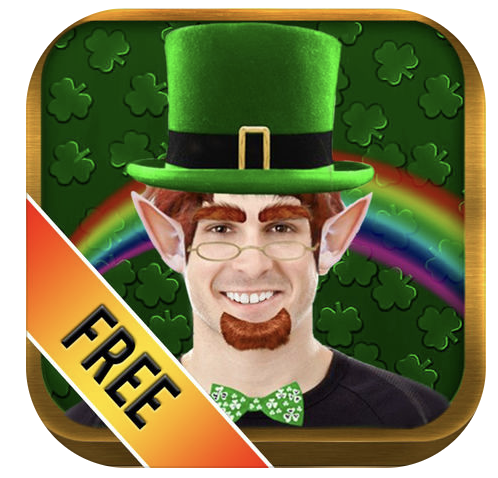 Leprechaun Me is a similar and FREE app that will do the trick! Note: It is rated 4+. However, there is a folder of images that contains adult beverages. 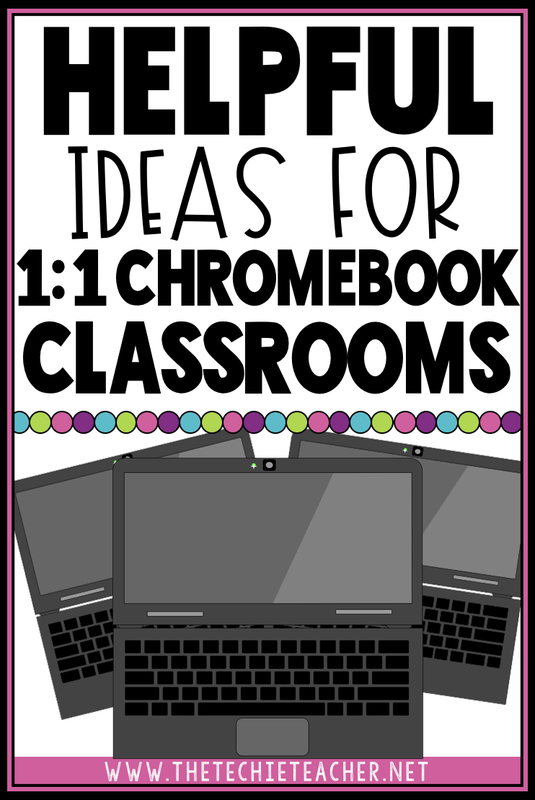 Students can change the background, add provided images, upload their own images, add speech bubbles, type text, and draw! 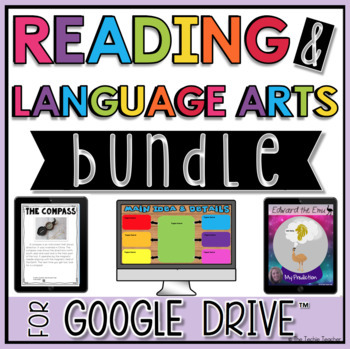 Once students turn themselves into a leprechaun, have them write a story about what life would be like if they were a leprechaun. 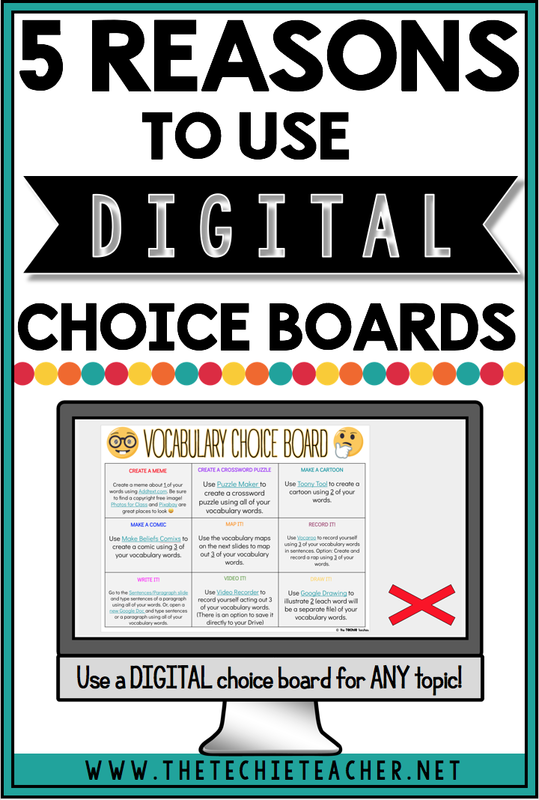 Seesaw users can assign students THIS free template. 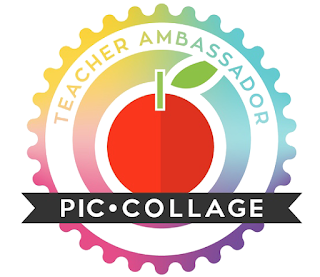 Click HERE for the activity already created in SeeSaw. 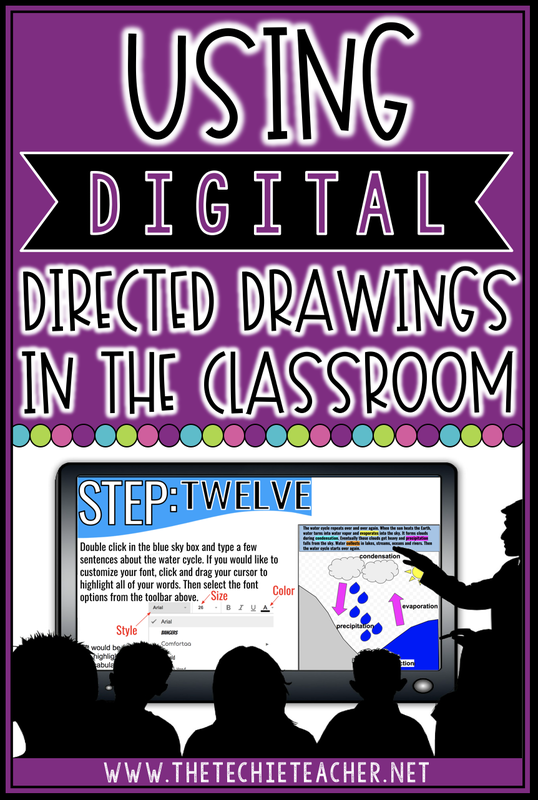 Students can draw their face and the things they consider make them lucky. 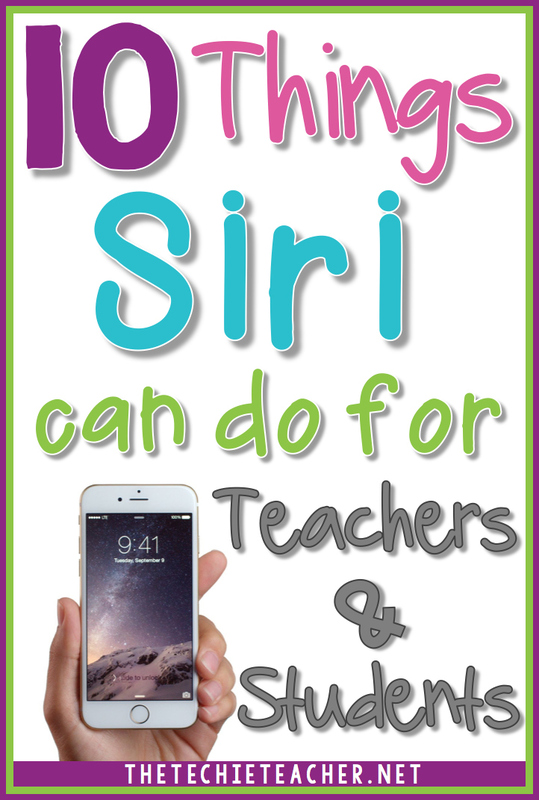 They can add labels or sentences too. Afterwards, have them record their voice telling about their creation. 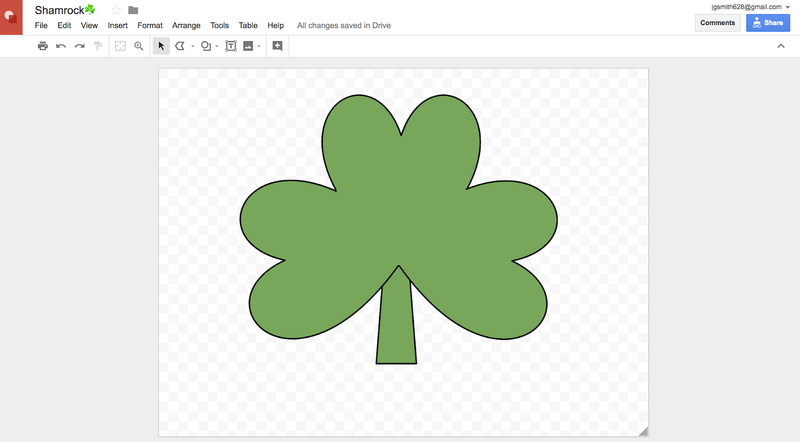 Decorating a clover in Google Drawing is fun. 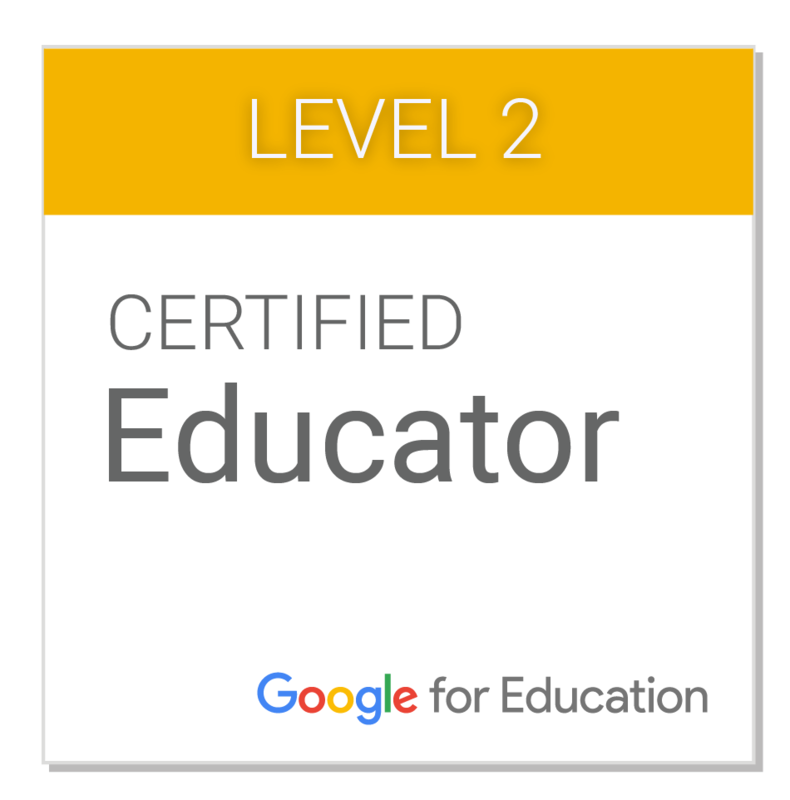 Click HERE or the image below for this free template I made. 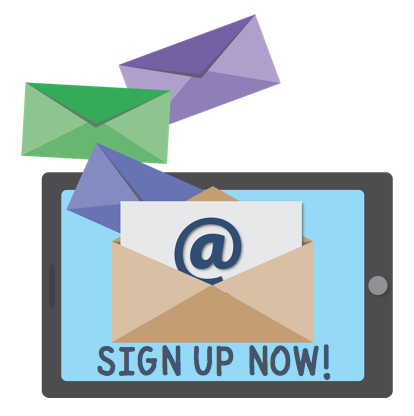 You will be prompted to make a copy. 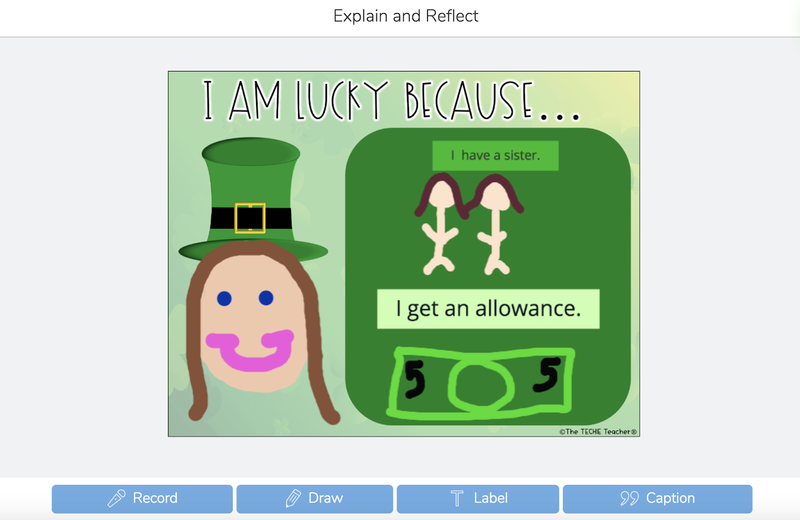 Students can decorate the clover with their picture and find images or draw images of things that make them feel lucky/fortunate. 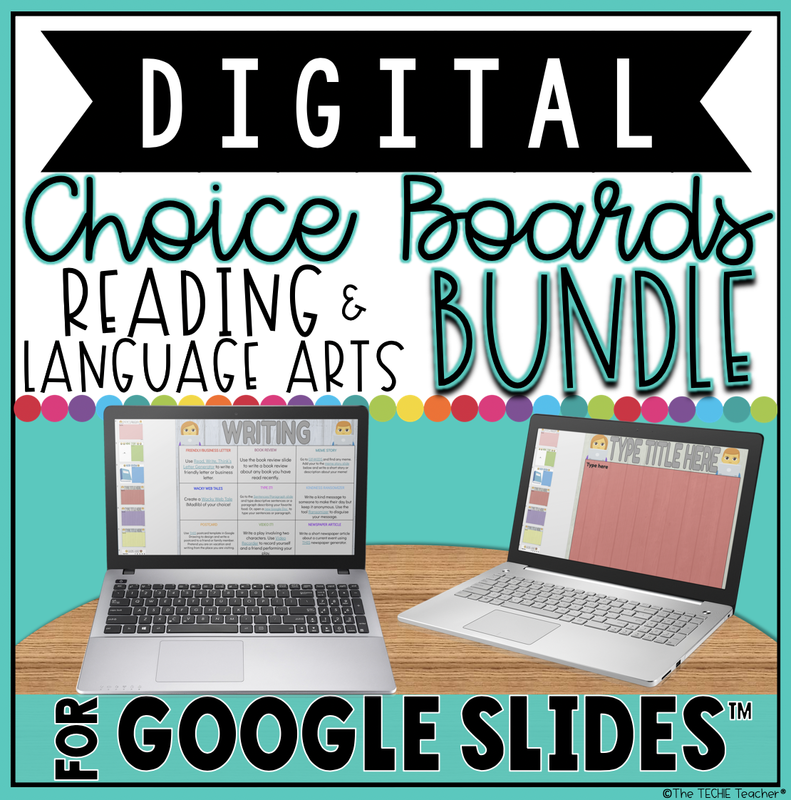 You could print them to hang up in your classroom or as a bulletin board. 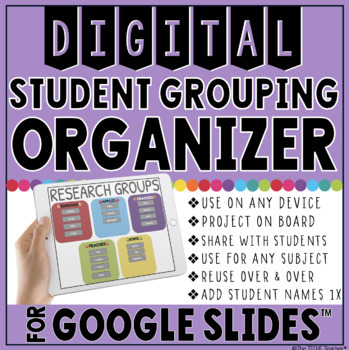 Students could also save their shamrocks as png images (File>Download As>png) and import into a collaborative Google Slides presentation. Or students could upload to Seesaw, Google Classroom or a Padlet wall to share with others! 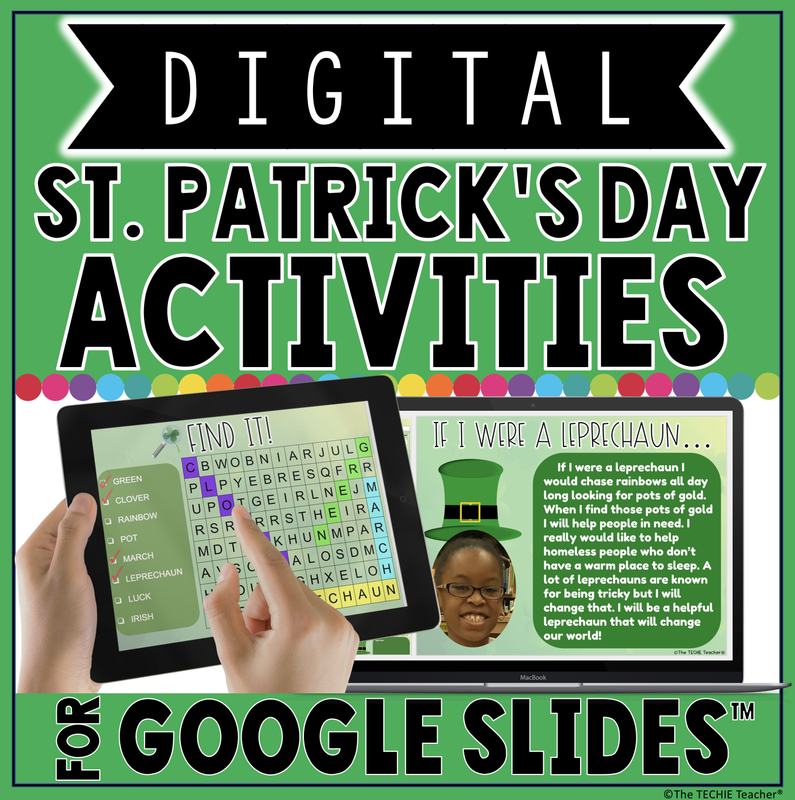 Digital St. Patrick's Day Activities in Google Slides™ is one of my newest resources that is available in my TeachersPayTeachers store. 💚Shamrock Facts: 4 links to outside kid-friendly websites are embedded for students to click on to research facts about shamrocks. 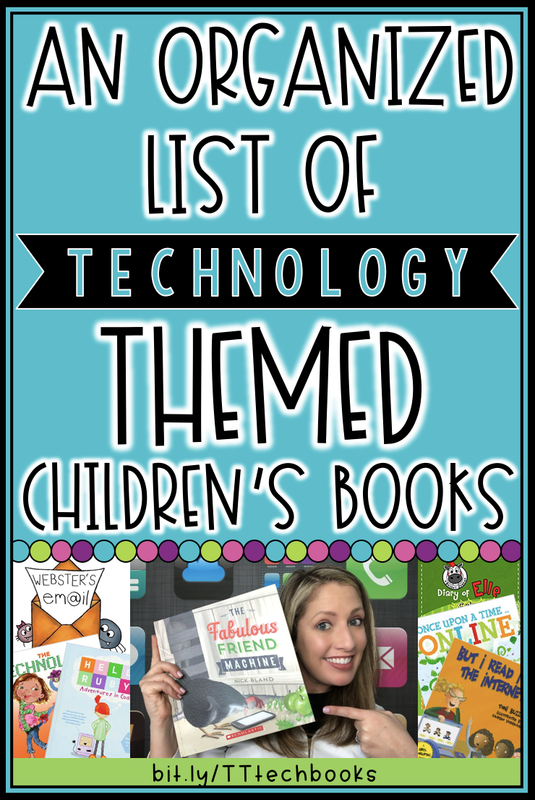 They will type their 3 favorite facts on the leaflets of the shamrock. 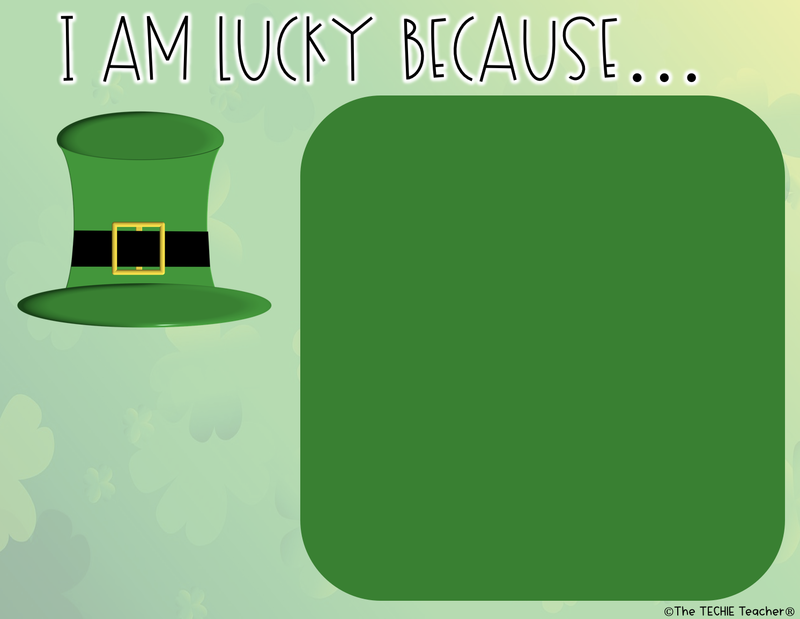 💚If I Were A Leprechaun: Students will take a selfie and crop to shape (directions included) to add under the leprechaun hat. They will then type a paragraph describing what life would be like if they were a leprechaun. 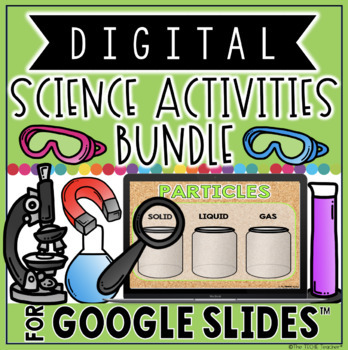 This activity is similar to the ones in my Seasonal Collaborative Digital Books Resource. 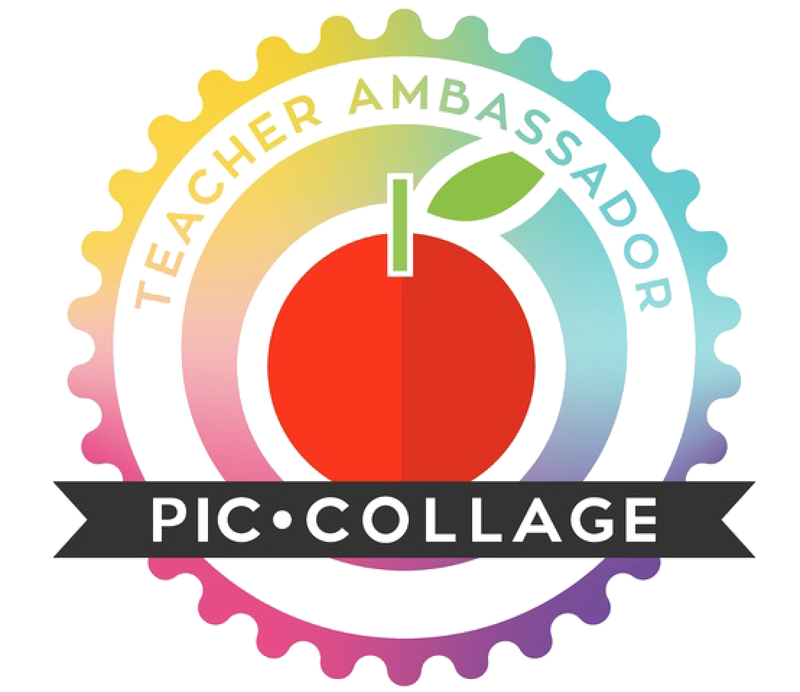 💚ROY G. BIV: Students will create a rainbow in the correct color order by using the fill tool to fill in the provided rectangles. 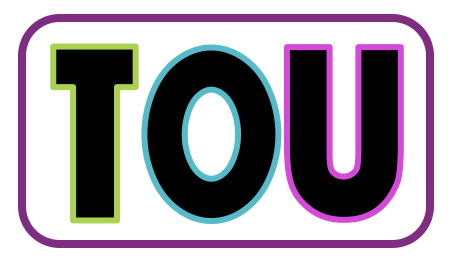 💚Acrostic Poem: Students will type an acrostic poem using the word LUCKY. 💚Making Words: Students will type 3 letter, 4 letter and 5+ letter words they can make from the letters in ST. PATRICK'S DAY. 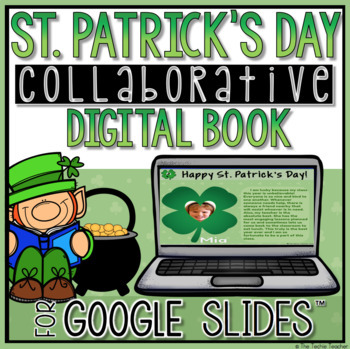 I also have a St. Patrick's Day Collaborative Digital Book your students can work on together! 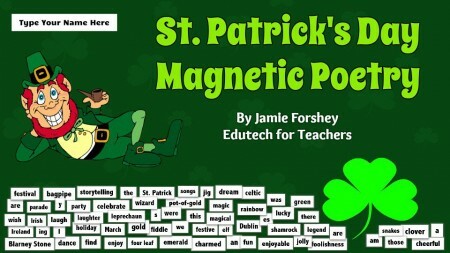 Jamie from Edutech for Teachers has a FREE St. Patrick's Day Magnetic Poetry activity you can download HERE. 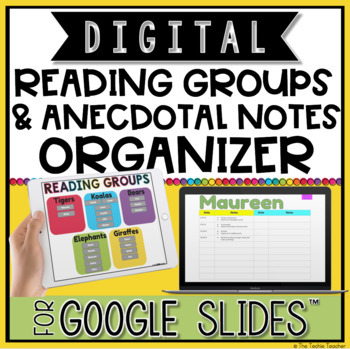 Students could use this independently or collaboratively! 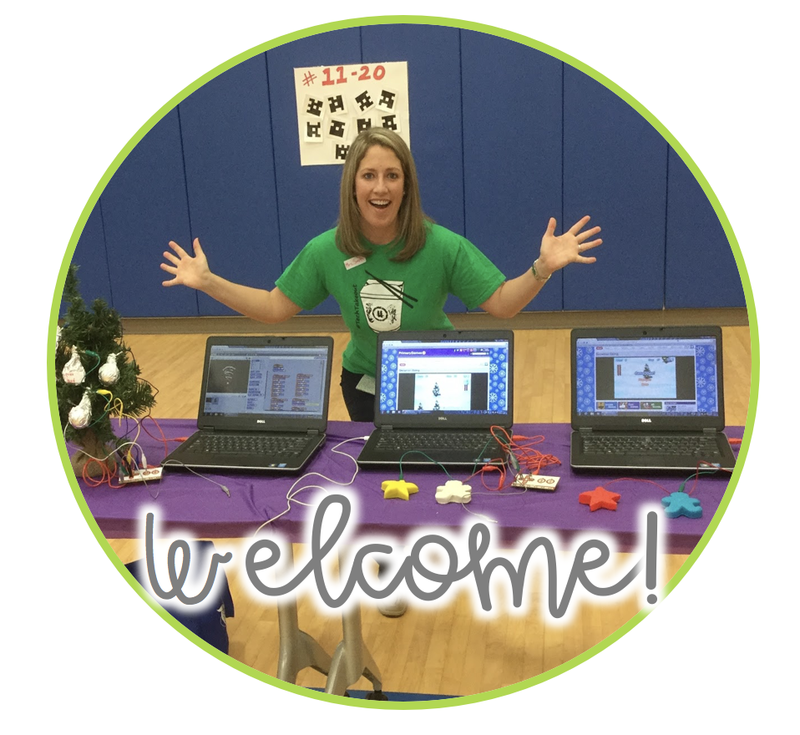 Tynker Coding for Kids has a St. Patrick's Day activity for students in which they build a "Clover Chaser". 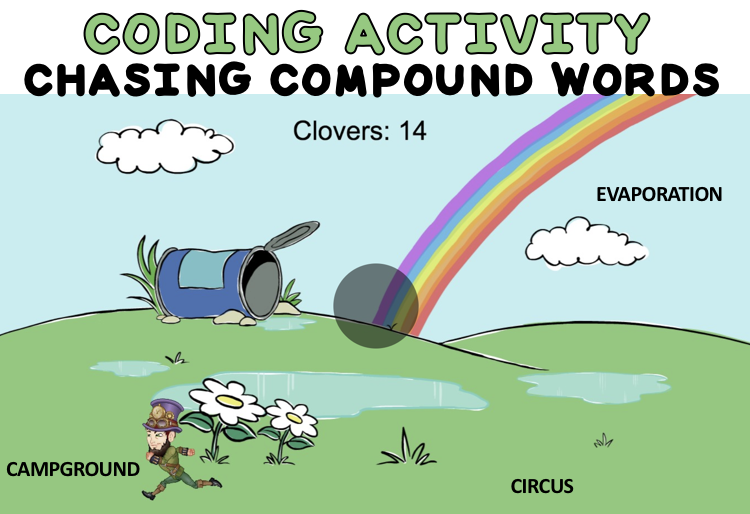 Students program four-leaf clovers to drop from the sky when the screen is clicked and then the leprechaun chases them down. 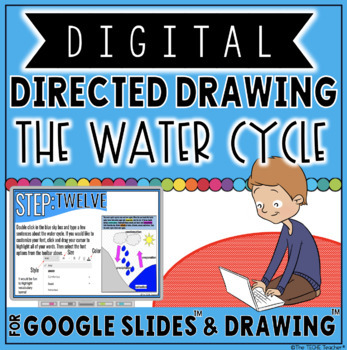 A tutorial is provided to walk through the steps and then they can create their own version. They could code their own activity in which the leprechaun only chases compound words, polygons, long vowel words, you name it! 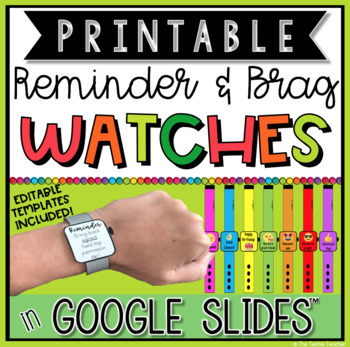 If you are just beginning to use Ozobots in the classroom, want to know more or looking for more ideas, I highly suggest checking out Stephanie's posts from The Learning Chambers about how she uses them in her math classroom.